Notice a slew of new openings at Mid Valley Megamall as of late? Us too. Browse the listicle below and bookmark whatever catches your eye, whether it's Breakfast Thieves' new sister outlet or the Korean dessert chain specialising in lip-smacking soft serve. 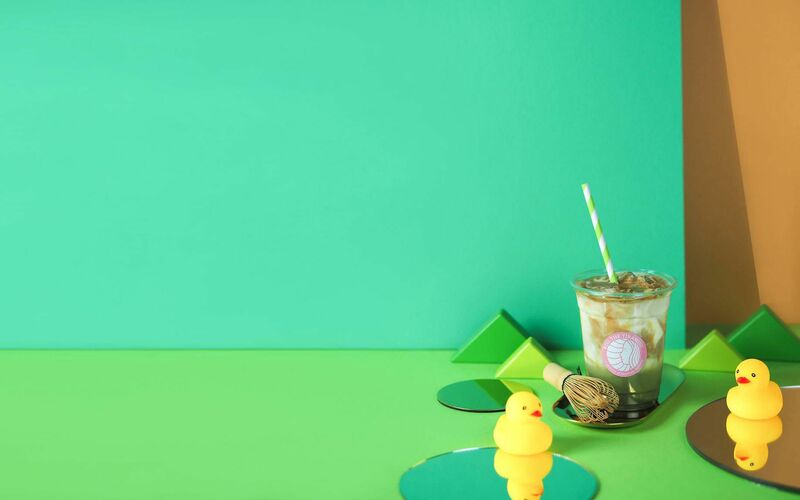 Image above: Signature Iced Matcha Latte at Kiss the Tiramisu, Mid Valley. Sometimes snaking past several shoplots, the long queues outside this tiny kiosk stirred our curiosity: "Why is the takeaway dim sum at BOD, an acronym for 'bao on demand,' selling like hotcakes?" For one, it's familiar fare: think dumplings, glutinous rice wrapped in lotus leaves, and steamed baos such as the signature Kong Fu Meat Bun stuffed with pork, hard-boiled egg, cabbage and rice wine. Secondly, it's seriously good stuff. It's time to embrace salted egg yolk as more than a trend, seeing how long it's survived. BOD's salted egg yolk baos check the box for producing orgasmic implosions, but it was their loh mai kai generously studded with chicken, egg, mushroom, preserved vegetables and char siew that made us made us glad for the Johor Bahru export. Teppanyaki toast from Taiwan is a relatively alien concept here, but it's really quite simple in essence: sliced white bread or bing — flaky flatbread not unlike roti canai — is toasted on top of an iron griddle along with your filling of choice, which could be sirloin steak, spicy chicken, fried eggs, et cetera. Though slightly unusual, the sweet potato fries dressed with plum sauce aren't unpleasant. Wash down your meal with hot coffee, cold fruit tea or a bobba beverage — it is a Taiwanese franchise, after all. 4. Go for a squeeze of dressing (opt for the salted egg yolk sauce for a side of naughty). Despite the marketing ploy, we'll be damned if we could resist! How often does one get to eat soft serve and take home a gold-fringed chalice? It's an experience akin to visiting Las Vegas and walking around with a 100-ounce cocktail in hand. The receptacle will probably be binned before you board your flight back home, but the short-lived souvenier brings fleeting joy, and that's something to be grasped at every opportunity. Things just got a little existential, didn't it? Going back to South Korean soft serve, Kiss The Tiramisu, which claims to import its ingredients from Italy and France, offers 6 flavours of ice cream — original tiramisu, strawberry, chocolate, matcha and purple sweet potato — in addition to cakes, coffee and cold beverages in every colour of the rainbow. Now that Snitch is here to steal the limelight from Breakfast Thieves, will the infamous weekend queues at the latter finally die down? After all, the 'younger sibling' also specialises in all-day breakfasts. Marrying asparagus-stuffed grilled cheese and herbed eggs, the Vego Croque & Omelette is comforting if nothing complex, as are the Huevos Rancheros with Beef Chorizo — at least the yolks were still molten. Don’t you hate it when your baked eggs are cooked all the way through? That is until you push open the side door leading to the underground club, but we've said too much already. Continue checking this space!